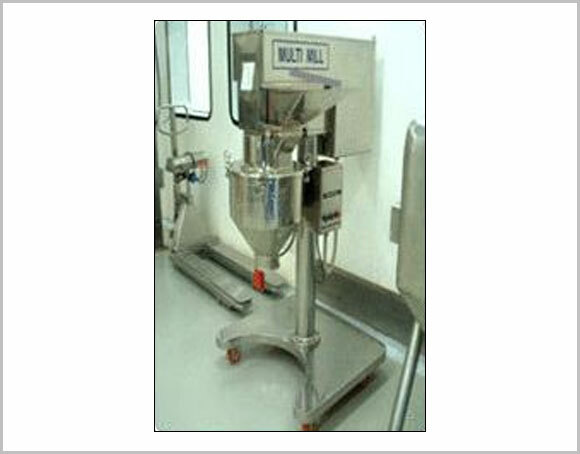 The Vitro Multimill is a portable self contained unit useful for high speed granulating pulverising, mixing, shreading chopping etc. of a wide range of dry and wet materials without any special attachment. This machine untilies the principle of variable force swing hammer blades having both knife and impact edges rotatiing within a carefully selected screen to control size. Flow path of material in vertical rotor machine is streamlined. During comminution, material entering the chamber travels to periphery and passes through the screen tangentially and radially avoiding chocking and temperature rise.